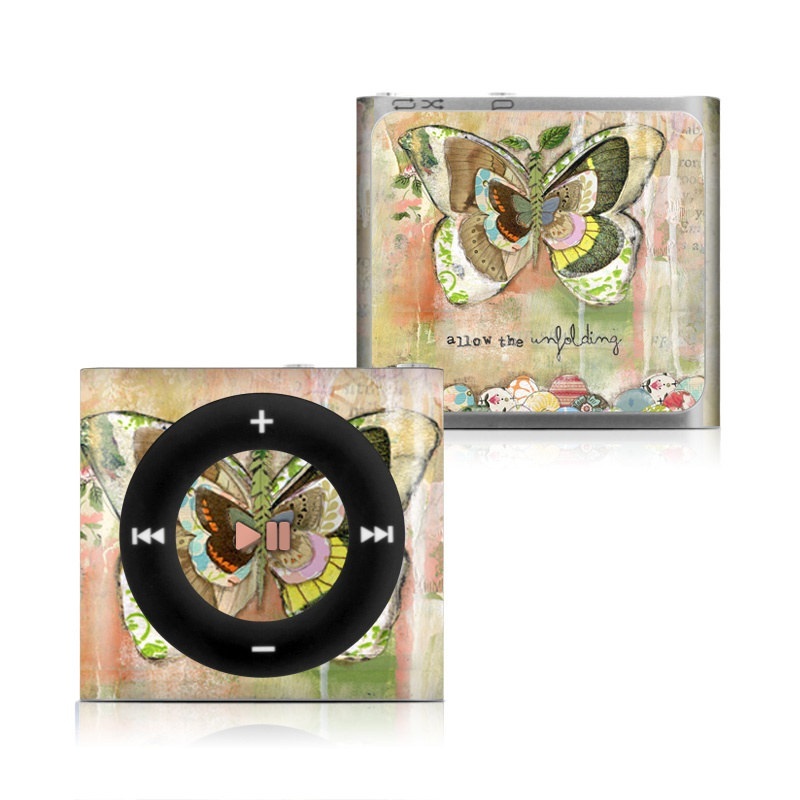 iStyles iPod shuffle 4th Gen Skin design of Butterfly, Art, Fictional character, Pollinator, Moths and butterflies, Watercolor paint, Illustration with green, brown, yellow, blue, pink, red colors. Model IPS4-ALLOWTU. Added Allow The Unfolding iPod shuffle 4th Gen Skin to your shopping cart.